I’m Milky, client services manager at Aarki. I manage accounts and act as a bridge between various internal and external teams on a daily basis. I’m responsible for providing high level updates and campaign reports to our partners. I also build strong relationships with clients to ensure that we deliver beyond expectations. What originally drew you to Aarki? And how has Aarki changed since? I heard about Aarki three years ago, my friends were working here. Since then, Aarki Encore has evolved into one of the most sophisticated technologies providing superb programmatic media buying to app marketers. Aarki’s ability to provide and develop campaigns that support mobile marketers’ specific goals. I’m always amazed how Aarki can be flexible to meet advertisers’ needs. I’ve witnessed how partners have expressed their satisfaction to Aarki, how we go at par with other DSPs. Five years from now, I see Aarki as one of the most trusted programmatic platforms, being able to deliver above standard mobile ad experiences. Too many to mention, but one of the best would be when our clients are satisfied with what Aarki delivers in all aspects. I’m proud that I’m able to meet our clients face-to-face and deliver results above their expectations. Everyone who works at Aarki can attest that this is an organization filled with compassionate and genuinely talented people fueled by the desire to innovate. This is a great place to learn and grow. A few things. When your dream doesn’t scare you, it’s not big enough. Always remember that when you hit rock bottom, there’s nowhere for you to go but up and bounce back even harder! Accept yourself, and stand up for your life choices. How would you describe the best place you’ve travelled to by far? Nothing tops my London experience! Best city I have ever been to—people and culture are one of a kind. Family, hope to live, and my sanity to keep living. To Kill A Mockingbird. I dream of being a lawyer someday and a friend recommended this book to me, and it’s effective. Probably a clone of myself to be able to see what kind of person I am. Am I treating the people around me with the right amount of love and respect? I’ve always wanted to have the prowess to tell if someone is lying, and the ability to always make people around me feel that their existence will always matter. I love acting and hosting. I’ve always wanted to be famous in these fields either locally or internationally. 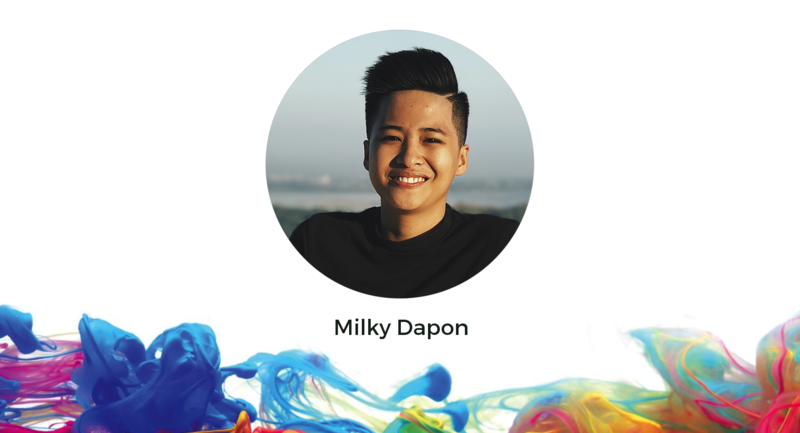 Milky handles key accounts, contributing to the company's scaling revenue. Her strong communications skills enables her to stand out from the crowd and build positive and productive working relationships with clients.